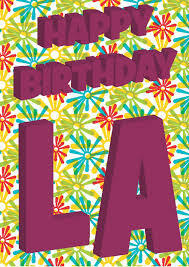 The City of Angels turns 230 years old on September 4, but if you ask me she doesn’t look more than 24. Maybe 25. Olvera is the place to share and celebrate in this milestone. Following a procession from Mission San Gabriel, mass, and other activities throughout the day, there will be a reception in the Cathedral Plaza with flags, banners, color guards, bag pipes, and more. 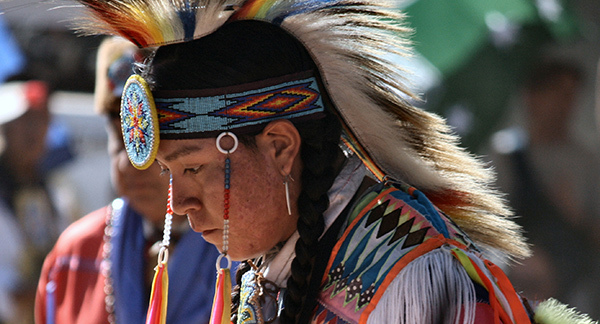 Visitors are encouraged to wear Spanish, Native American, soldado uniforms or other appropriate attire. 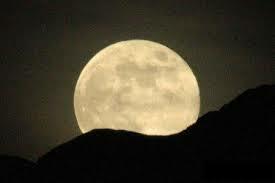 when: Sep 4 at 7:30 p.m.
Come howl at the moon (in public this time) and explore Coldwater Canyon Park at night. Families welcome during this hour-long guided hike. You must pre-register to attend, contact moonlight@treepeople.org. 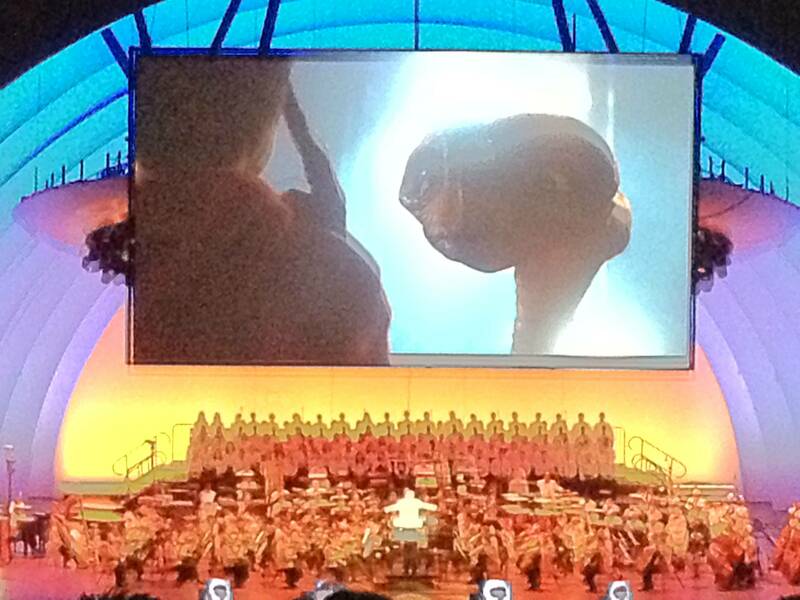 Check-in begins at 6:30 p.m.
Bring the family to this extraordinary, premiere event, as the Los Angeles Philharmonic performs John Williams’ entire Academy Award®-winning score from Steven Spielberg’s heartwarming masterpiece about a boy and his alien friend, live-to-picture while this beloved film is shown in HD on the Bowl’s big screen. Don’t miss E.T. under the stars, as you’ve never seen or heard it before! Buckle your seatbelts! This summer’s Family Amphitheater Performances at the Skirball takes family visitors on a ramblin’ musical “road trip. 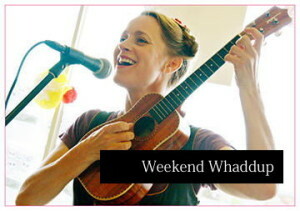 Heidi Swedberg and the Sukey Jump Band (September 5), Dave Aaronoff and the Protagonists (September 6). 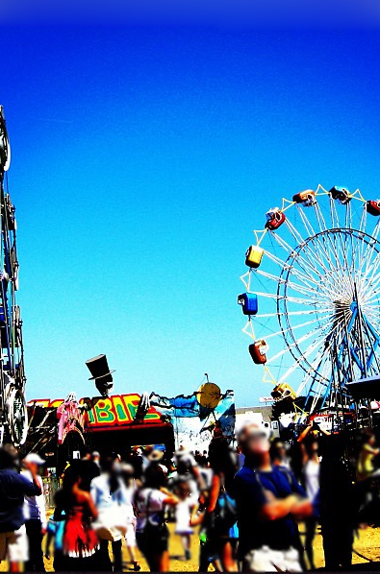 The L.A. County Fair is the largest of it’s kind, in the entire country. This isn’t the 4-H affair you know from your youth – it’s big, bigger and biggest with horseracing, Monster Trucks, big name concerts (everyone from ZZ Top to Train to The Beach Boys is playing) and more. Kiddos big and little love the Barnyard Races, America’s Kids, Luminasia (it’s their last year at the circus), Esmerelda’s Traveling Circus, the World of Wonders, Mojo’s Wild and Crazy Lagoon, Beneath the Sea, the Sea Lion Show and so much more. Hungry? There are the traditional blue ribbon contests to drool over, but if you really want to chow down you can get fried goodies – from traditional funnel cakes to brownies, Oreos, Klondike ice cream bars, avocados, bacon, Kool-Aid and butter, which all get the deep fried treatment. And in an effort to also offer things that won’t send parents running there are plenty of yogurts, smoothies, fruits and salads too! Above the beautiful beaches and glamorous neighborhoods of California, deep in the secluded mountains, you can hear the pulse of Mississippi Delta Blues, the harmony of American folk music, and the rumble of retro rock – this sound is The Deltaz. The Deltaz are two brothers – John and Ted Siegel. Since they were boys they idolized the great American musicians of the 50’s, 60’s and 70’s. It’s Coming and You Can’t Stop it! While it sounds like something that accompanies a rash or that a Z Pak knocks out, it’s way more fun than that. It’s a massive moving carnival designed to have you SEE your neighborhood on wheels of any size (non-motorized), or on foot. I’m especially excited by this because since it’s inception, this is the first time it’s come to OUR neighborhood… right through Studio City! I like that I don’t have to drive to a bike event! And partly because I used to be a 100% certified bike geek. It feels like my two worlds are colliding in a cultural renaissance. Restaurants and Shops along the route will be planning to see you, so get out there and enjoy everything they have to offer. Our Local Bike Shop: Studio Cycle Company will be open and ready to greet their neighbors. The parking lot behind the shop on Ventura will be cordoned off for your little ones to test their cycling skills away from the crowds along the main route. Big Kids and Adults will have to park out front, if your little one is just getting a feel for their wheels this is the place for them. The guys that work there will be able to help out with inner tubes if you spring a leak, Music, Giveaways, Food, and Fun. They are also hosting Pedal Pushers AMBUCS , which provides AmTryke therapeutic tricycles for children with special needs. Extra cool. 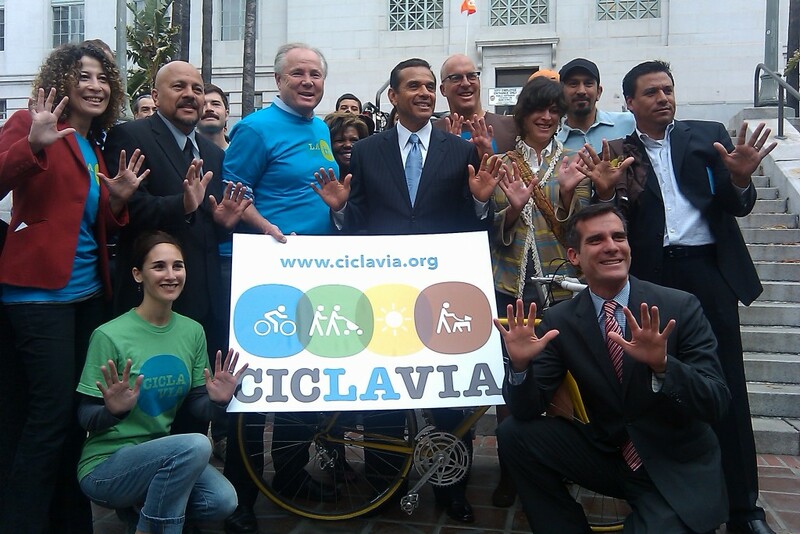 CicLAvia will hit the streets of the San Fernando Valley on Sunday, March 22 from 9am–4pm. Participants will be able to travel between North Hollywood and Studio City on car-free streets, using foot, pedal and non-motorized wheel power. The route is simple, it runs 5.5 miles along Lankershim Boulevard between the North Hollywood Metro Red Line at Chandler Boulevard and the Universal Studio Red Line stop, and along Ventura Boulevard between Campo de Cahuenga and Coldwater Canyon. 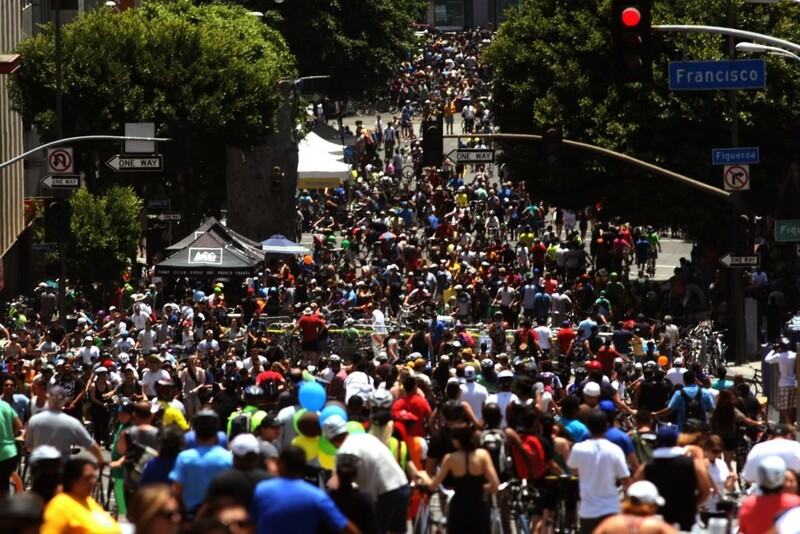 The route will highlight some of the gems of the East Valley including the North Hollywood Arts District, Universal City, the historic Campo de Cahuenga, Studio City Farmers Market and the famed Sportsmen’s Lodge. You don’t have to do it all, just come out and ride! The Valley route is made possible with a grant from Metro Los Angeles. It’s not a race and you don’t need a bike to participate. You can walk or skate to your heart’s content. There’s no beginning or end. You can start anywhere and go as far or as short as you want. They put smaller activities together. 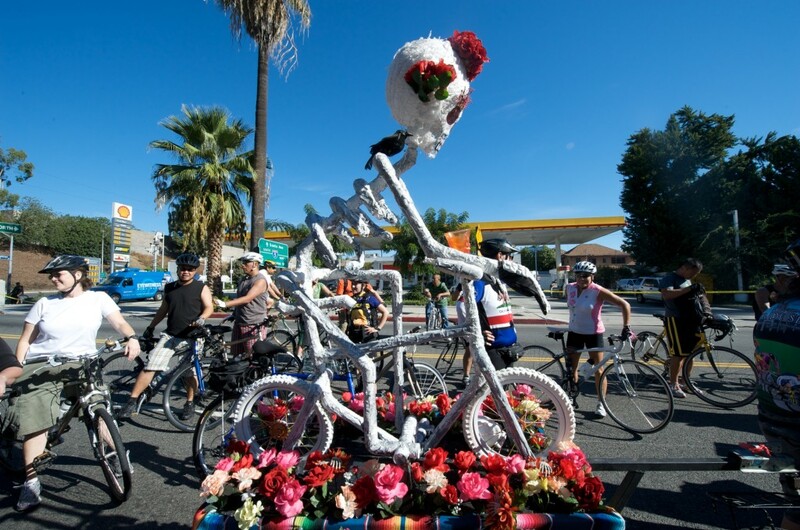 CicLAvia Explores returns on February 7 with a preview of part of our March 22, Metro Presents CicLAvia – The Valley route. CicLAvia is proud to partner with Secret City Tours founder John Bwarie for two walking tours of the NoHo Arts District that will include three food stops. 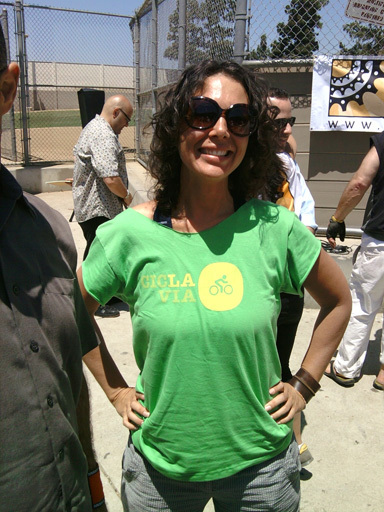 Leave with insider knowledge that you can share with family and friends at the March 22 CicLAvia – The Valley route! 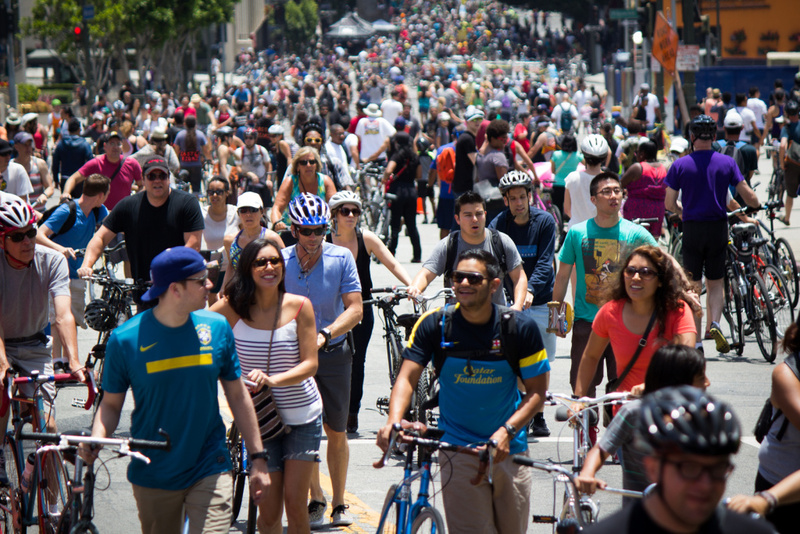 Tickets for the CicLAvia Explores Noshing in NoHo event are $10, with a portion of the proceeds going to support CicLAvia. Details of where to meet will be sent following ticket purchase. when: Mar 19 at 10:30 a.m. The Bob Baker company is L.A.! Join Mama and Papa Goat and 100 more of the world famous Bob Baker Marionettes for a musical “Day on the Farm” you will never forget. Really, you won’t. Everything from dancing scarecrows to tap dancing bullfrogs warbling “Shine On Harvest Moon”, Something To Crow About puts a smile on the faces of children of all ages. 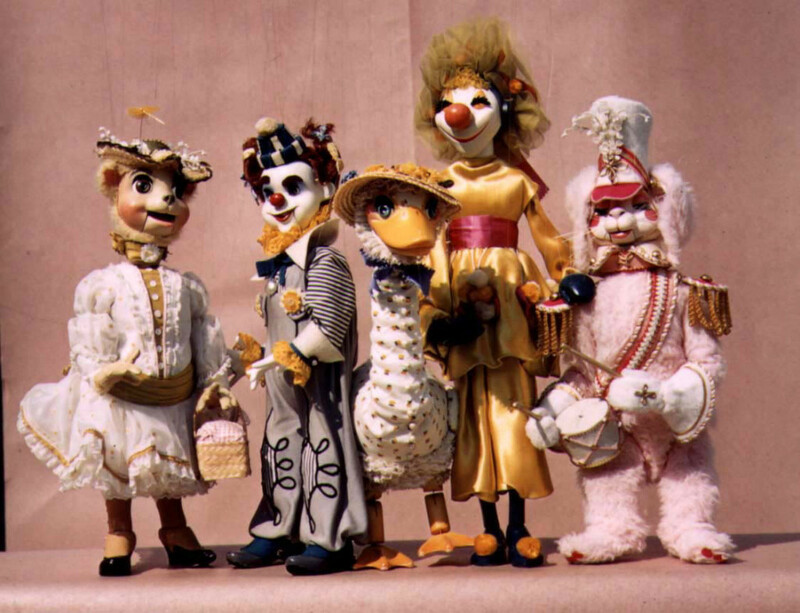 The Bob Baker Marionette Theater has been declared an historic cultural monument by the city of Los Angeles, and performs in the nation’s oldest ongoing puppet theater. 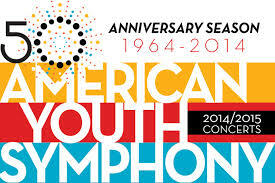 So you have a culturally significant reason to go, as well as just having a blast. Weekends at 2:30 p.m. and weekdays at 10:30 a.m. through April 4. Cost: $15 Fee is for one child and one adult, and includes admission to Noah’s Ark at the Skirball immediately after class. Fees apply for additional children or adults. A special opportunity for aspiring puppeteers! Through movement, music, art making, and storytelling, explore a variety of forms of puppetry and performance. Get inspired by interacting with the amazing puppets in Noah’s Ark at the Skirball, then create your own ensemble of puppets to take home. 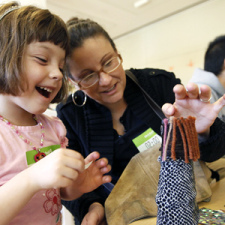 Use your newfound puppetry skills again at the fourth annual Skirball Puppet Festival. 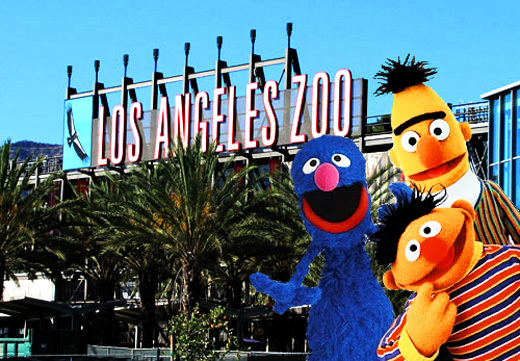 There are so many furry friends to see at the L.A. Zoo… and on this very special weekend, there will be one more: everyone’s favorite red monster from Sesame Street Live, Elmo! Come take your child’s picture with Elmo, enter to win a family 4-pack of tickets to area performances of Sesame Street Live “Let’s Dance,” and get exclusive savings on ticket purchases. Plus, all families visiting the Zoo will receive a gift card for a free personalized photo book courtesy of Shutterfly. The Easter Bunny will stop in his tracks when he spies this adorable little cake you’ve baked and decorated in his own likeness! We bet that your parents will ask you to make one for everyone at your holiday table. Descanso Gardens celebrates the arrival of Spring in Japan with its annual Cherry Blossom Festival. Families can learn more about these beautiful trees on guided walks and get a taste of Japanese culture. Events throughout the weekend include origami (both days 11am – 3pm) and walking tours of the cherry trees in the Gardens (Saturday and Sunday, 10am, 12noon, & 2pm). June Kuramoto performs on the koto, the national instrument of Japan. (both days 1pm – 2:30pm). Make A Wish, Have A Ball: Cinderella! 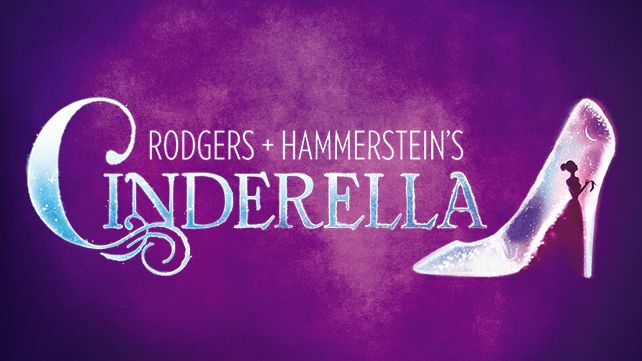 Rodgers + Hammerstein’s Cinderella is the Tony Award®- winning Broadway musical from the creators of The Sound of Music and South Pacific that’s delighting kids with a contemporary take on the classic tale. You saw the cartoon, you saw the live action movie, now see it on stage! What to know before deciding to bring kids: The show is two hours and 23 minutes, including an intermission. And while it is recommended for all ages, the theater reminds us that kids 6 and under who may cry or fidget are never admitted. How: Just show up! Shop here once and you won’t want to pay full retail again. Huge semi-annual kids consignment sale with 600+ families contributing 100,000+ new and gently-used kids items. You can find everything for your kids 0-14 at 50-75% off retail prices including clothes, toys, shoes, strollers, DVDs, furniture, books, games, and so much more! This only happens in the Valley twice a year. Shopping is easy – everything is clean, in working order and clothing is hung by size and gender. 650 families are contributing over 100,000 amazing new and gently-used items to this week’s LA Kids Consignment sale. At the largest consignment sale in Southern California you’ll find everything you need for your kids (newborn through pre-teen! ): clothes, toys, shoes, strollers, games, puzzles, DVDs, bikes, outdoor play equipment, maternity, furniture, women’s purses and so much more!!! Prices are amazing – up to 75% off retail prices. All items have been inspected so you’ll find good, high quality items. And it’s easy to shop – all clothing is hung by size and gender and all toys and equipment are grouped by category. Shop here once and you’ll never pay full retail again! Get added to the email list to find out all about all our other locations: Valencia, Pasadena, San Fernando Valley, and Torrance. Do you have items you want to sell? You probably have $500 sitting in your closet! You can participate in upcoming sales. Read about what you can consign and how it works – you prepare it, drop it off to us and we do all the work! Started 11 years ago as a tiny sale in Kristin Nelson’s driveway, this sale has now grown to 4 locations and has helped over 6000 families save 1,000,000+ items from landfills, earn money on high quality items that get used for such a short amount of time, and made children’s items affordable for thousands of Los Angeles families! How: Happy hour is a walk-in event, no RSVP necessary. Kiddos enjoy dressing up in their large vanity closet, having their faces painted, making crafts, playing games, hearing stories, and more. 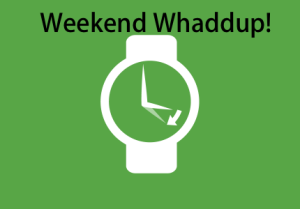 And now, what you’ve been waiting for… #weekendwhaddup! how much: Wristbands – $40.00* Unlimited RIDES *pre-sale price. $45.00 at the door. Admission to the fairgrounds is free! Rides and food require the purchase of tickets from ticket booth. 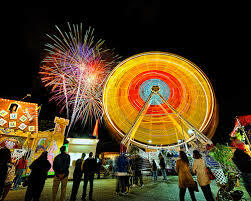 Food, rides, and activities are paid for with multiple tickets. when: Mar 8 at 11 a.m. to 5 p.m. This is the Zimmer’s biggest family party of the year! 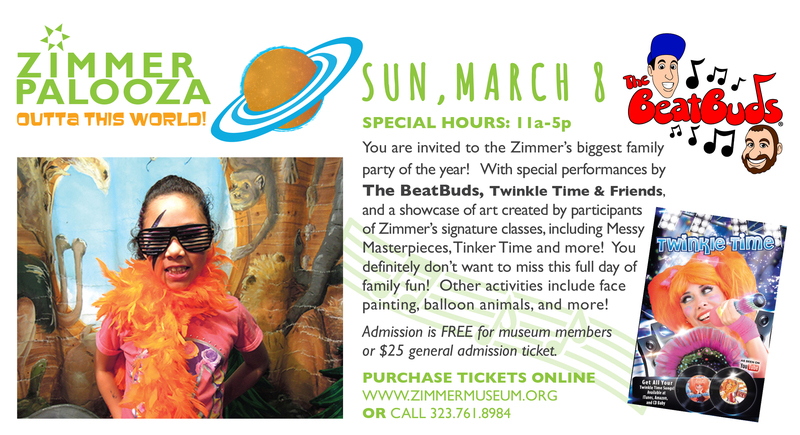 With a special performance by Twinkle Time and Friends and a showcase of art created by participants of Zimmer’s signature classes, including Messy Masterpieces, Tinker Time & more, you definitely don’t want to miss out on this full day of family fun. Other activities include face painting, balloon animals, and more. 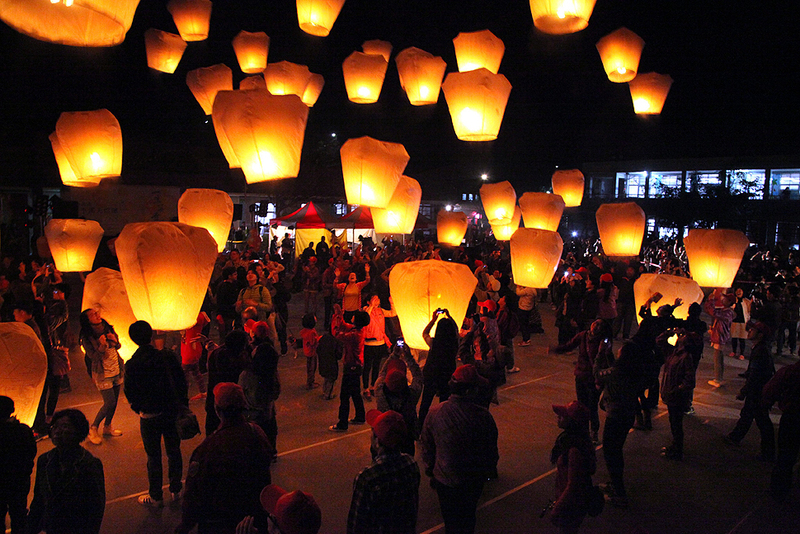 Bigger and better than ever, the family-friendly Lantern Festival returns to Downtown Los Angeles featuring L.A.’s largest array of interactive cultural arts, crafts, and educational activities – all for free! Celebrating the Year of the Ram, the festival honors the Chinese tradition of hanging colorful lanterns as families wish for peace and prosperity in the New Year. The festival runs from noon to 7 p.m., so be sure to check the schedule online to see what acts you can’t miss! This year, Shomrei Torah Synagogue debuts an all new Purim Family Fun Festival, designed just for young families! 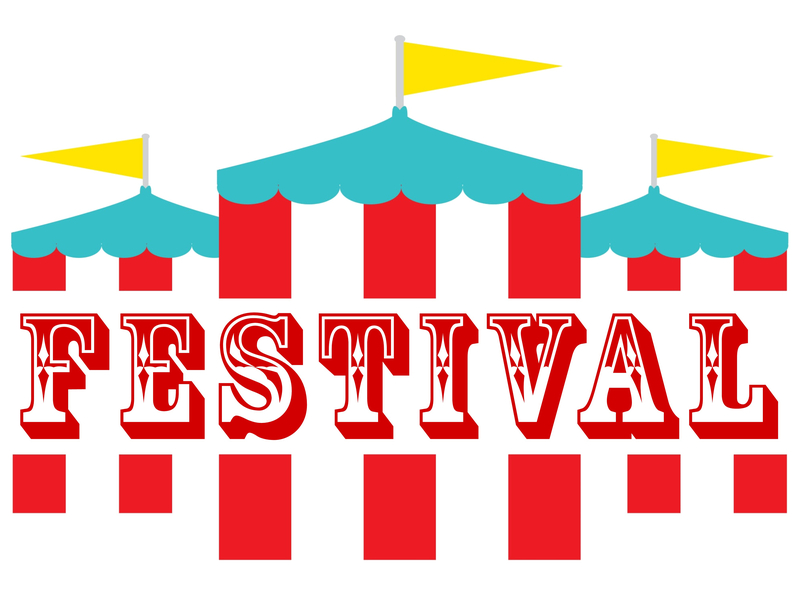 Enjoy games, bounce houses and inflatables, food, a climbing wall, live entertainment, arts and crafts and more! Buy advance tickets and save money – prices go up at the festival. Open to the community! When: Mar 8 at 11 a.m. to 3 p.m.
It’s a pretty universal truth that kids LOVE dogs. So let them play with tons of them at Woofstock! The day includes Cat and Dog Adoptions, a Pet Parade, Pet goodies marketplace, pet entertainment and food trucks for humans. 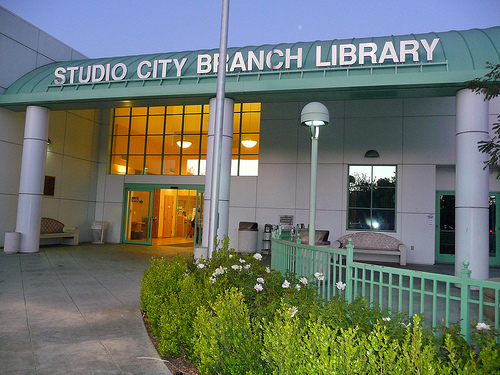 Parking on site or at Beverly Hills High School with free pet friendly shuttles to the park. Well-behaved leashed dogs are welcome. 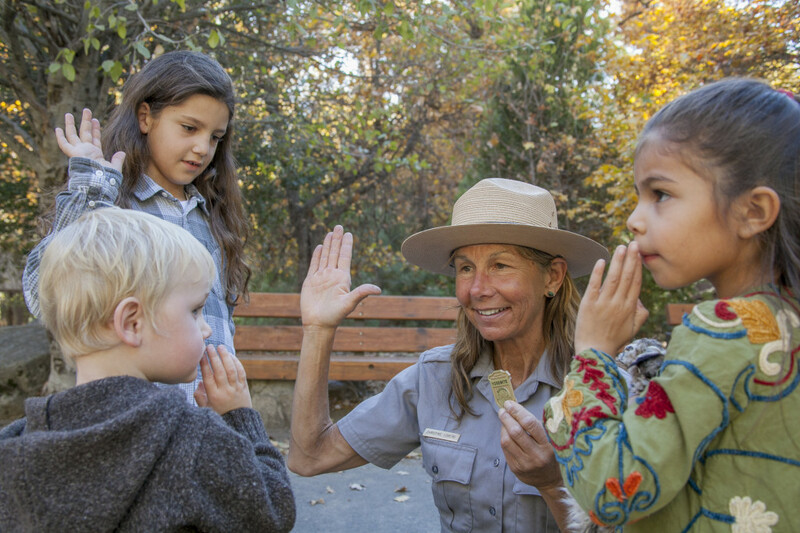 Join a Ranger to explore nature while learning all about the local animals and plants. When: Mar 7 at 9 p.m. 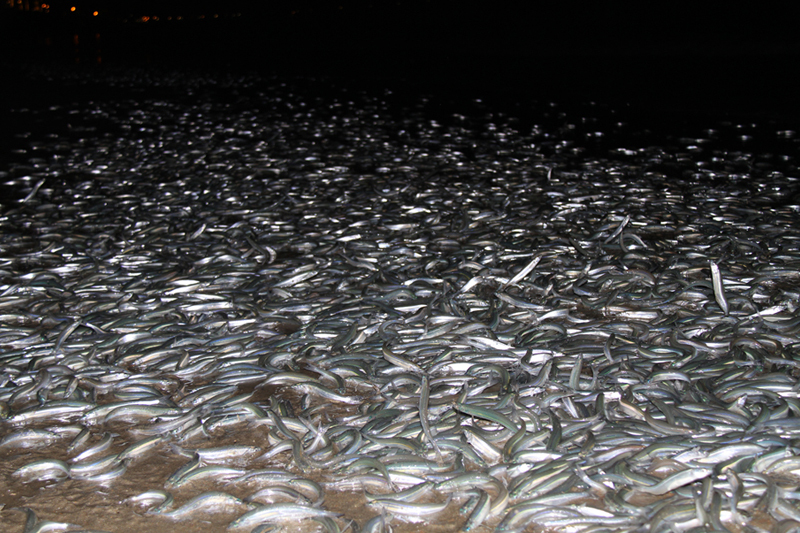 Spend a night sitting on Southern California’s sandy shore waiting for the “grunion run.” Grunion are small sardine-size fish of the silversides family, which are among the few species of fish that actually come ashore to lay their eggs on sandy beaches. They are found from Southern California south to Baja California and arrive at night after the high tide around the new moon and full moon. Cabrillo Beach is one of the better places to observe the fish. Watch the silvery fish come up on the beach to spawn! Learn about the interesting mating rituals and growth of this curious fish. The Aquarium opens at 8 p.m. and an auditorium program begins at 9 p.m., followed by guided observation at the beach. Warm clothing and a flashlight are recommended. Check out one of the longest-running Kite Festivals in Southern California! Brought to you by Sunshine Kite Company and Redondo Pier Association. The Redondo Pier Association is committed to providing FREE community events throughout the year including one of Southern California’s longest-running kite festivals, an outdoor summer concert series, chalk art festival, classic car show, taste of the Pier and holiday concert! If you like the beach life, this is something to keep your eye on! Home Depot offers a free monthly workshop for kids ages 5 – 12. The workshops teach basic DIY skills and tool safety. Kids go home with their craft and a free Kids Workshop apron, commemorative pin, and certificate of achievement. Cost: Included in museum admission. $10 / Children Under 2 FREE. Hop on board and discover the engineer within! 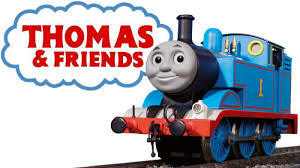 Travel to the Island of Sodor where imaginations charge full steam ahead in Thomas & Friends™: Explore the Rails, a hands-on STEM exhibit based on the adventures of everyone’s favorite blue engine, Thomas, his engine friends and the Island of Sodor’s iconic locations: Knapford Station, Sodor Steamworks and much more. Help Thomas and his friends solve a variety of challenges, from simple sorting and shape identification to more complex engineering obstacles. People read comics because they love the action, the characters and the interesting plots that the writers throw at us. So, what makes a really good comic book story and what makes us interested in these stories? 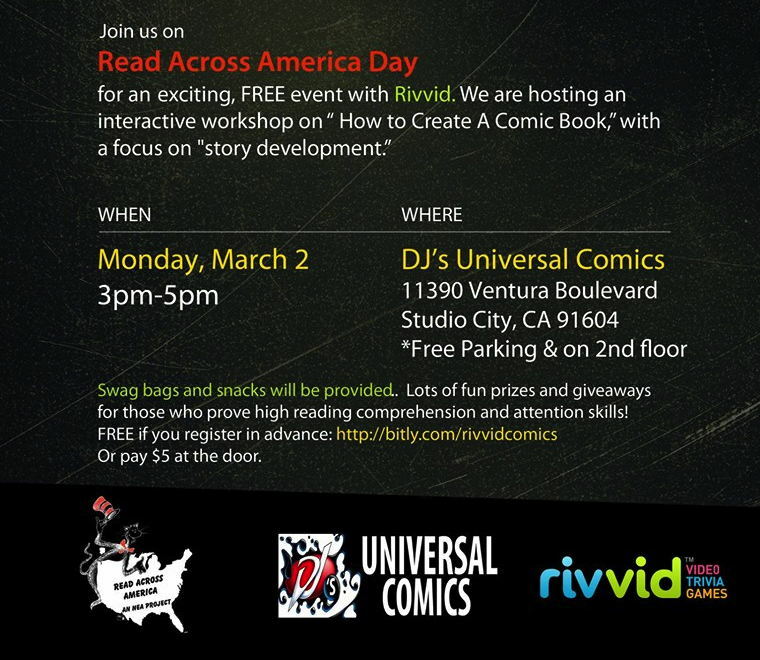 In celebration of Read Across America day, Rivvid is hosting a game based learning workshop on “How to Write Your Own Comic Book.” They will focus on “story development.” The goal is to show how fun it is to make reading and learning fun! *Lots of fun prizes for those who prove high reading comprehension and attention skills! *Swag bags and snacks will be provided. Very limited seating so please RSVP in advance or pay $5 at the door. *No need to stay the entire 2 hours. We will conduct workshops at different time intervals since we understand everyone is on different schedules with school release and extracurricular activities. 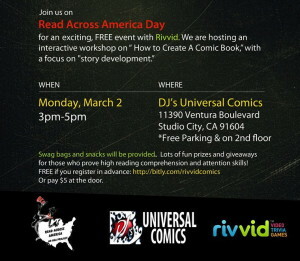 Have questions about Rivvid’s “How to create your own comic book” workshop on #ReadAcrossAmerica Day? This is what’s happening near me, if you’re not in the area but are interested in celebrating this cool happening, search out #ReadAcrossAmerica on Twitter and Facebook. Look for an event near you! A great resource for things to do can be found at the founder’s website. Link below. Who: Kids and their families! I like to shop for locally grown vegetables and we like to highlight locally grown events… Bring the whole family for LEGOs, Duplos, blocks, puzzles, board games, coloring, and more! when: Feb 7 at 1 p.m.
Crazy b-ball time! 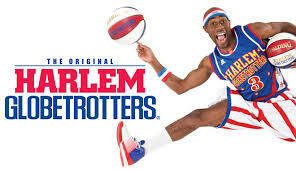 Entertaining young and old alike for almost 90 years, the legendary Harlem Globetrotters bring their unique and timeless mix of basketball, comedy, athleticism and entertainment to the Galen Center. The Globetrotters’ captivating dribbling and dunking wizardry combines with hilarious antics and fan interaction, all presented by some of the world’s greatest athletes and entertainers. when: Feb 7 at 1 p.m. & 4 p.m. Your little dino fanatic will want to join Buddy and friends in this fun-filled trip back in time when dinosaurs roamed the earth… and rode in trains! Through interactivity, music and laughter Dinosaur Train Live will have kids up and dancing in the aisles. 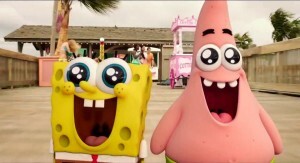 when: Feb 7 at 7 p.m. Kids love trucks. Big trucks. Monster trucks. 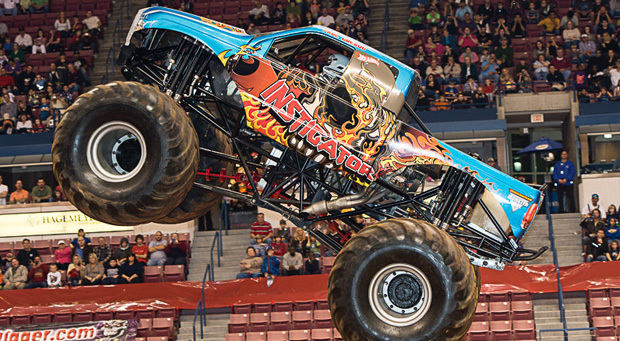 So take them to see a massive collection of the world’s best monster trucks battling it out in the ultimate event of high-octane speed, racing and destruction! 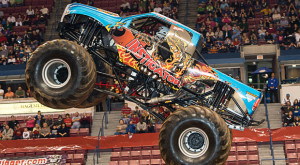 One of the most popular touring family entertainment sporting events in the world, the Monster Jam is a high-flying, car-crushing explosive event of demolition, speed and powerful stunts with the world’s best monster trucks and drivers whose skills provide an awesome spectacle dirt-flying, high-energy fun. Superhero SpongeBob SquarePants comes ashore to make a personal appearance at the Los Angeles Zoo on Friday, February 6, 2015, the very same day that “The SpongeBob Movie – Sponge Out of Water,” from Paramount Pictures and Nickelodeon Movies, opens in theaters. The world’s favorite sea dwelling invertebrate greets visitors and poses for pictures between 11 am and 4 pm at the Zoo’s Eucalyptus Grove. 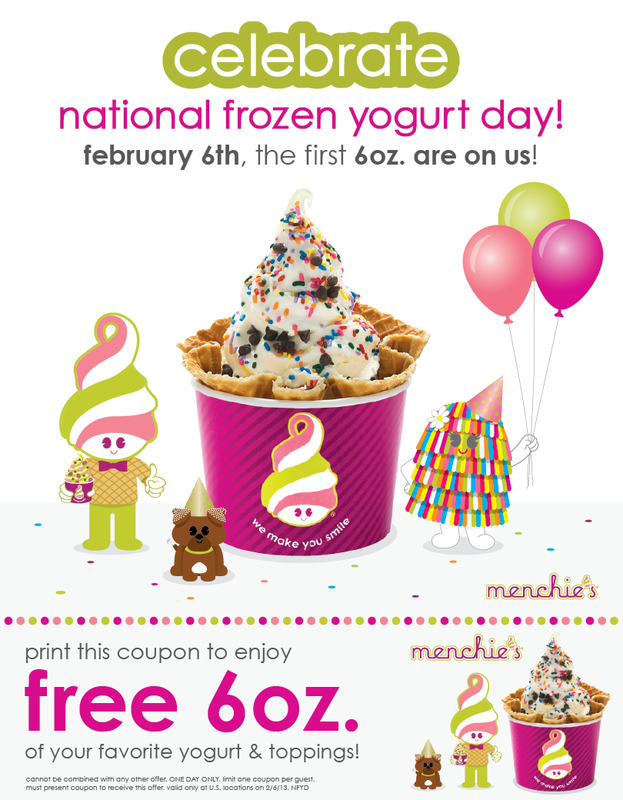 FREE Frozen Yogurt at Menchies! 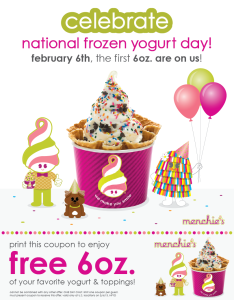 Happy Frozen Yogurt Day from Menchies, who wants you to celebrate with free frozen yogurt and toppings from 4 p.m. to 8 p.m. That’s our kind of celebration – sweet and free! 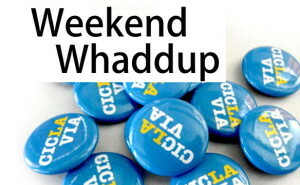 How: Drop in anytime during regular Museum weekend hours, weather permitting only. Last entry at 4:30 p.m.
There’s so much to see and do at the Skirball’s simulated outdoor archaeological dig and field laboratory! 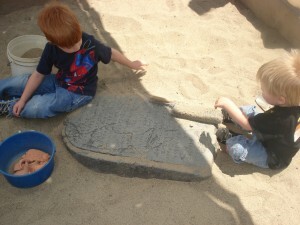 Slip on an archaeologist’s vest, sift and sort through sand to find hidden ancient artifacts, weigh and examine your findings, analyze clues, and work with archaeology staff to piece together the puzzles found in a Near Eastern Iron Age town. Learn how easy and fun it is to make Asian dumplings. We’ll have the fillings ready, and you’ll scoop them into wonton wrappers and seal. Then the instructor will cook your dumplings two different ways—steaming and panfrying—so you can discover which you like best! when: Dec 20 at 10 a.m. to 6 p.m.
Grinchmas is here ’til the end of the year! Anyone with a case of the bah-humbugs (or the bored vacation bugs) should hop over to Grinchmas at Universal Studios features photo ops with Grinch and his dog Max, story time with Cindy Lou-Who, cookie and ornament decorating at Universal Plaza, and the chance to stand beneath the 60-foot Grinchmas tree. Then join the Whos as they sing and dance through Who-ville during the Studio Tour Backlot Grinchmas Who-bilation. And don’t forget this makes a great gift, for buy the day, and get 2015 admission to Universal Studios for free! 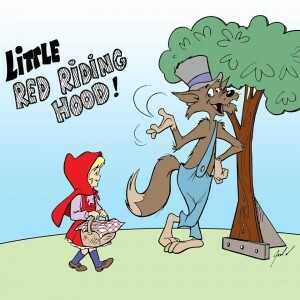 when: every Saturday at 1 p.m.
“Little Red Riding Hood” is Storybook Theatre’s award-winning musical retelling of the famous fairy tale. There is a Granny at the Pianny, a funny wolf, and an adorable Little Riding Hood. Lots of audience participation as Little Red Riding Hood goes through the woods to Granny’s house. Fun for the whole family. Saturdays at 1 p.m. through March 7.
when: Dec 20 at 10 a.m. & 11 a.m.
Come and roar like a Tyrannosaurus and stomp like a Triceratops! Learn all about dinosaurs and their friends from the Cretaceous. Make a dino-mite craft and meet some other critters that walked alongside these giant animals. The Saturday class is free with paid Museum admission. No reservations required, but tickets are very limited, so arrive early. when: Dec 20 at 11 a.m. to 1 p.m. 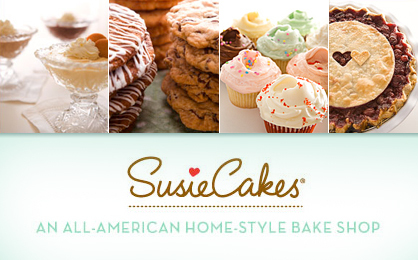 Celebrate the season with a complimentary holiday cookie decorating event- the sweetest way to spend the holidays. Space is limited. Email CelebrationSTC@susiecakes.com or call 818.659.2253 to reserve your spot today! On this easy 1-mile walk, discover how the Chumash Native Americans were able to create a sustainable way of life so long ago. What lessons can we learn from them and apply in our lives today? when: Dec 17, 2014 – Dec 21 at 6:30 p.m. to 9 p.m.
Fun fact: The Newport Beach Christmas Boat Parade – the nation’s longest running lighted holiday boat parade – turns 106 this year. The parade is free to watch and features over 100 decorated and lighted boats making their way along a 14-mile parade route through scenic Newport Harbor. Boats ranging from kayaks to yachts will be decorated to the parade’s “Deck the Hulls with Bows of Jolly” theme in lights, sounds, and holiday decor. Dress warm and bring a thermos of cocoa – it gets chilly! 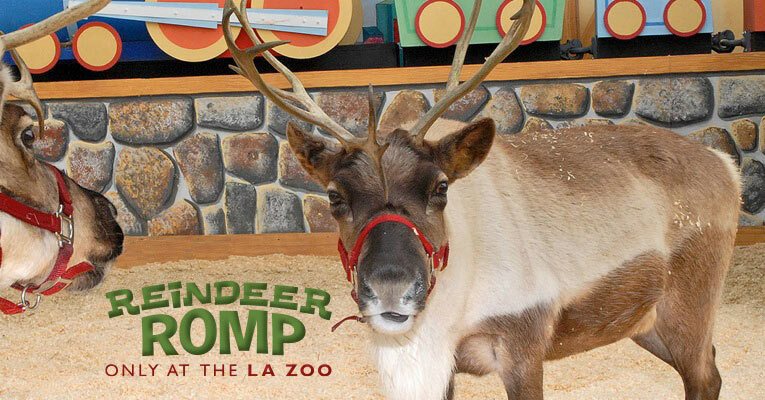 This holiday season for the very first time, the Los Angeles Zoo changes stripes from a daytime adventure to a dazzling winter wonderland known as “L.A. ZOO LIGHTS”, which electrifies guests as it transforms the Zoo’s enchanting environment into a series of awe-inspiring animal escapades rendered in led lights, lasers, 3D projections, spectacular sets and interactive displays. Open nightly from Friday, November 28, 2014, to Sunday, January 4, 2015, 6 to 10 pm (except Christmas Eve and Christmas Day), this magical new experience is destined to become a wondrous, “don’t-miss” holiday tradition. 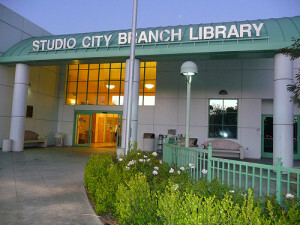 An ideal family outing, meet-up with friends or date night, “L.A. ZOO LIGHTS”‘ self-guided 60- to 90-minute tour through select areas of the Zoo (while the animals themselves are asleep) introduces guests to a clever troop of animated LED “monkeys” commandeering an electrical power source hidden in an unusual holiday tree. They swing through the entry plaza to guide an illuminated power line toward a giant electrical “outlet,” attempting to plug it in. Will they succeed? YES! The Zoo lights up, and guests follow the “monkeys” as they encounter an illuminated “Reggie the alligator,” an origami “rhino,” singing “elephants,” and a party of musical pink “flamingos” fronted by their DJ leader, to name a few. Along the way, “L.A. 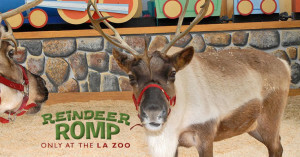 ZOO LIGHTS” offers the only opportunity in Los Angeles to see real reindeer, lit by elegant “chandeliers,” (“L.A. ZOO LIGHTS”‘ sole live animals), plus weekend-only visits with Santa Claus, perched atop a throne seemingly carved from ice, and an unexpected Hollywood ending featuring a red carpet bustling with paparazzi “animals.” Other special effects range from 3-D holiday-themed animations projected onto a group of palm trees and a “bird” who flies to a nest filled with golden disco balls, to freeway-driving “animals” on their way to the “L.A. ZOO LIGHTS” opening against a backdrop of Los Angeles landmarks and a group of giant “bullfrogs” made from 3,750 water bottles lit from within, plus much more. Among the evening’s sights are giant floating snowflakes, glittering light tunnels, animal cutouts and icicle lights. Although the Department of Water and Power’s wildly popular Holiday Light Festival is a bygone Griffith Park holiday tradition, and while “L.A. ZOO LIGHTS” is a completely different, well, animal, it pays homage to the Festival with a nostalgic nod to the past by featuring some classic pieces, including the Hollywood sign, the downtown LA skyline and City Hall. Steaming hot chocolate and other holiday treats and goodies for sale are also part of the fun. Daytime visitors to the Zoo can see the reindeer during regular hours, which are 10 am to 5 pm, along with a flurry of seasonal festivities and yuletide flourishes, plus weekend visits by Santa Claus. Admission to “L.A. ZOO LIGHTS” is $13 for adults/seniors and $11 for children ages 2 to 12; tickets for GLAZA members are $12 for adults/seniors and $10 for children ages 2 to 12; children under age two 2 are free. Purchase tickets online to attend during the first two weeks (Nov 28 – Dec 11) for the online-only Early Bird Rate of $8 each. It’s probably the most fun ice rink in town- it’s definitely the most popular and the one where it’s easiest to spend the morning strolling on the beach and the afternoon ice skating and sipping hot chocolate! ICE is back. The 8,000 square foot rink is perfect for kids 7 & up, while the Tot Spot mini enclosed kids rink is available for kids 6 & under. Ice skates are available for rental in children sizes 10-4. ICE Bites Café offers snacks and classes are available through the The Randy Gardner School of Skating. 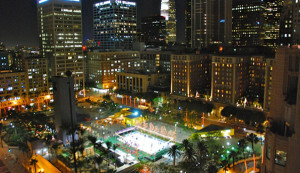 Get your glide on for the holidays – it’s LA’s biggest outdoor rink and it’s right in the heart of the city. Framed by towering trees and skyscrapers, it’s become a traditional holiday go-to for good times and family skating fun. Prices are $9 for one hour on the rink, and $3 to rent skates. Check hours before you go, they vary by day & date. 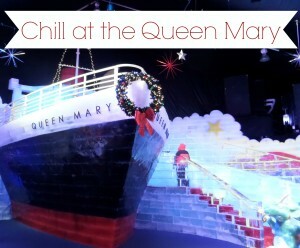 The iconic Queen Mary presents CHILL, an experience that will bring cheer, enchantment and cold temps to Southern Cal. The only event of its kind on the West Coast, CHILL is a super fun holiday event. There’s the Ice Kingdom, with holiday-inspired scenes, made from more than two million pounds of sparkling ice, fill a 13,000 square-foot Igloo. For the adventurous there is Ice Tubing, where you grab an oversized tube and race down a slide made completely of ice. Of course there’s a great big skating rink and even a Holiday Village where you can decorate gingerbread houses and visiting Santa, listen to holiday carolers and enjoying the dazzling decorations along Candy Lane. Tip: When they say cold temps, they’re not kidding. Freezing cold. Icy cold. The cold we don’t won clothes for here in LA. So beg, borrow or buy some warm togs – you’ll need ‘em. Even under the giant coats they provide. 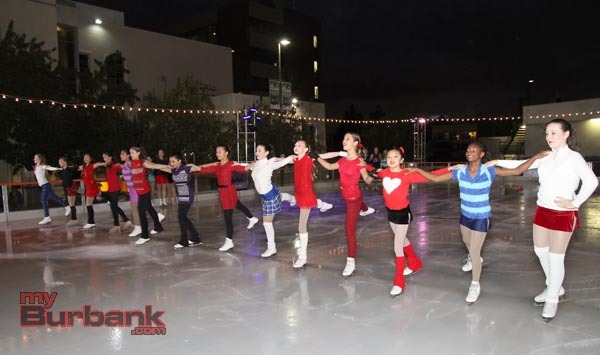 Downtown Burbank’s most festive holiday tradition returns for 8-weeks of outdoor ice skating, themed nights, and special performances at The Rink in Downtown Burbank. 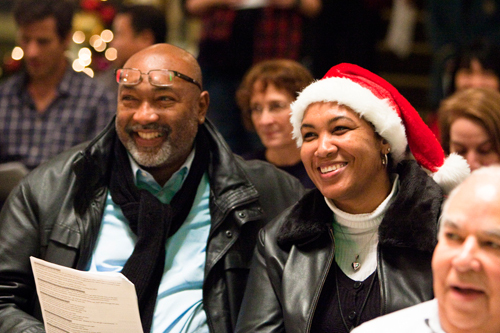 The fun begins Friday, November 28 and runs through January 19, 2015. 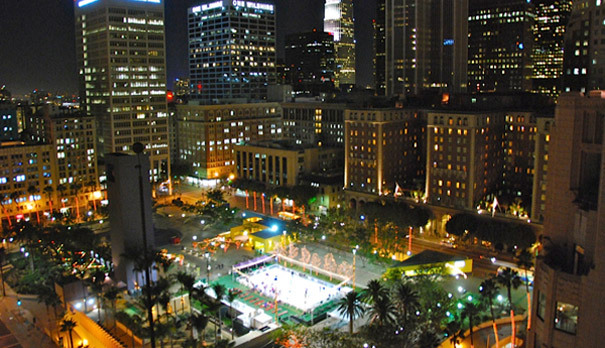 Transforming the corner of N 3rd Street and E Orange Grove Avenue into a magical winter wonderland, skaters of all ages will enjoy 90-minute sessions on the ice with friends and family. All season, the KCET Community Kiosk will be on-site giving Rink attendees the opportunity to play an active part in KCET’s 50th anniversary. The interactive kiosk visually displays historical KCET touch points, and prompts community members to answer the question: “How do you envision a better state?” Visitors are encouraged to participate in this unique community experience. On Saturdays from 8:00 AM to 12:30 PM, be sure to visit Downtown Burbank’s weekly Farmer’s Market in the parking lot behind the Community Services building. 10% group discount for parties of ten or more. Please pay in one transaction in advance (recommended) or at time of session. Waivers may also be completed prior to skating. For further information, please contact therinkindowntownburbank@gmail.com or 818-806-8551.